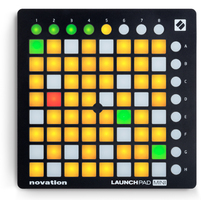 Launchpad Mini mk2, PAD Controller from Novation in the Launchpad series. 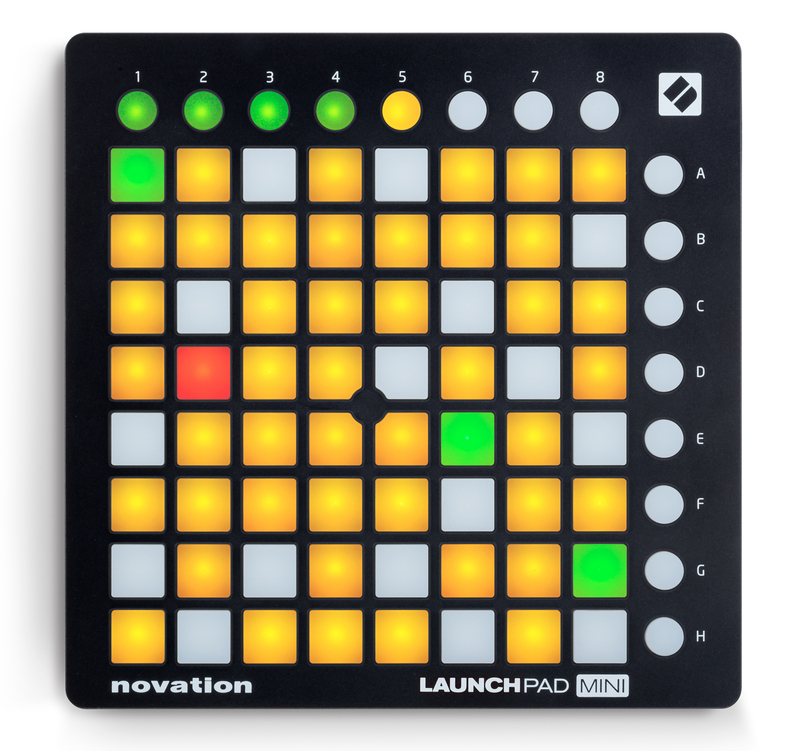 You won’t find any new feature on these new mk2 versions of the Launchkey and Launchpad Mini, improvements only apply to the aesthetics and the built of the devices. 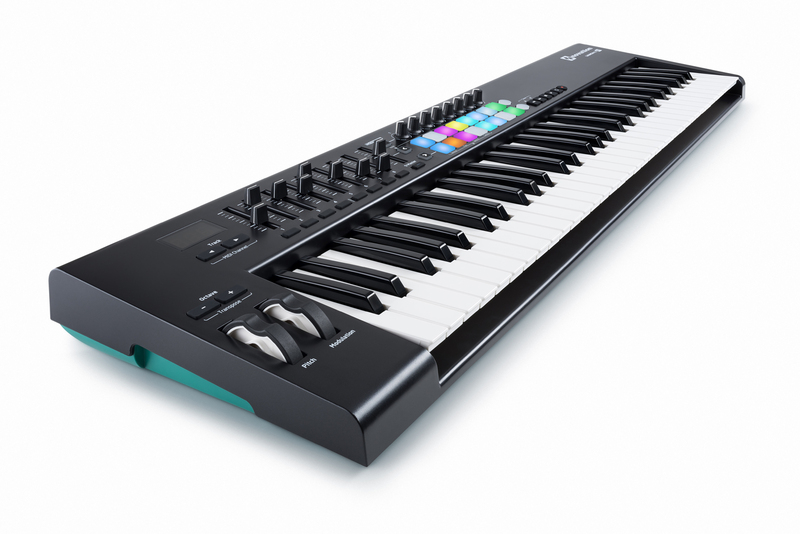 Indeed, the Launchkey 25 mk2, 69 mk2 and 61 mk2 now automatically connect to Ableton Live and most of the DAWs with InControl for instant control of the instruments, effects, mixer and session parameters. 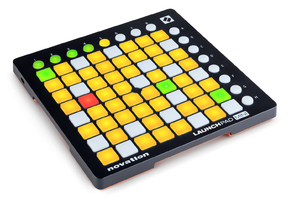 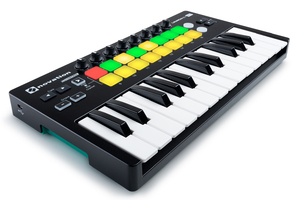 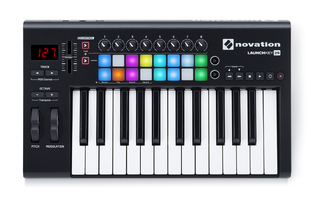 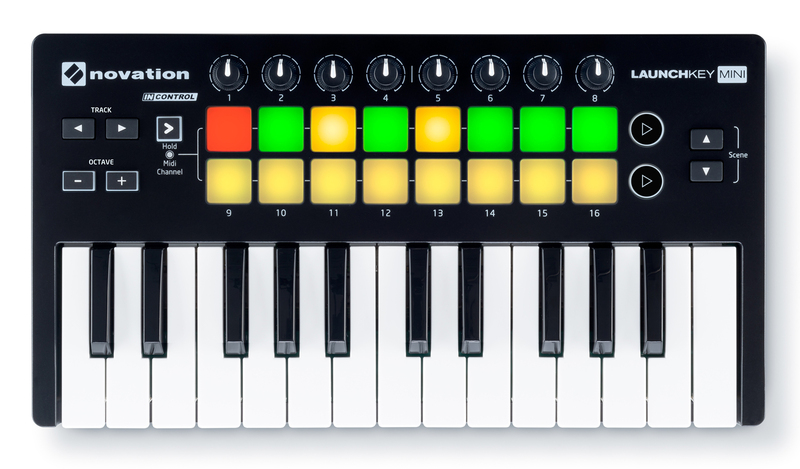 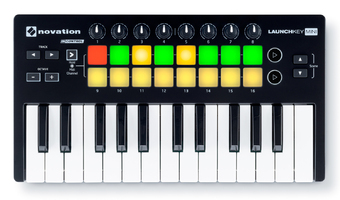 Novation improved the dynamic pads, including the RGB feedback, with colors that now match the clips in Ableton Live. These new models will be available early June for the price of 165 € (LaunchLey 25 mk2), 219 € (LaunchKey 49 mk2) and 275 € (LaunchKey 61 mk2). 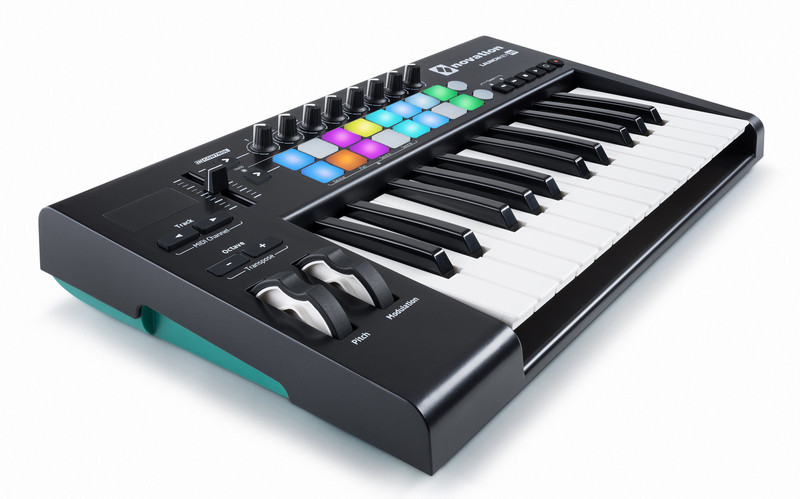 The LaunchKey Mini mk2 now features a turquoise lower chassis to match the rest of the Launchkey controllers. 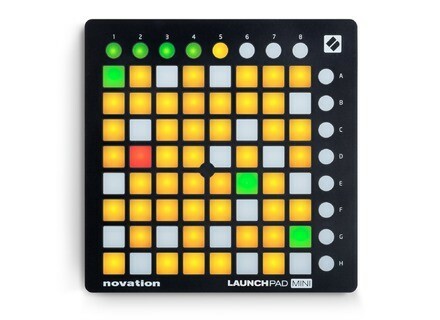 Last, improvements brought to the LaunchPad Mini mk2 concern the construction quality of the pad controller. 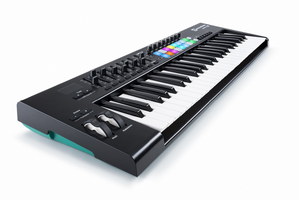 Both new models will be available late-April with a unit street price of 109.90€. 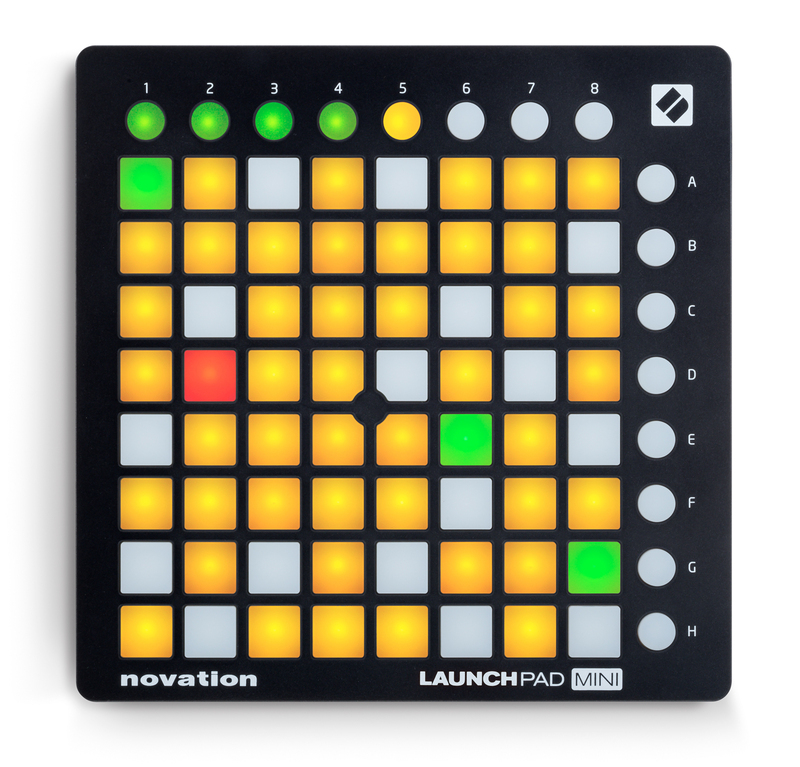 Carl, a retro synth sequencer for Mac OS X Simo Virokannas, aka IHIHI, has released on the Mac App Store a standalone synth sequencer inspired by vintage analog devices.